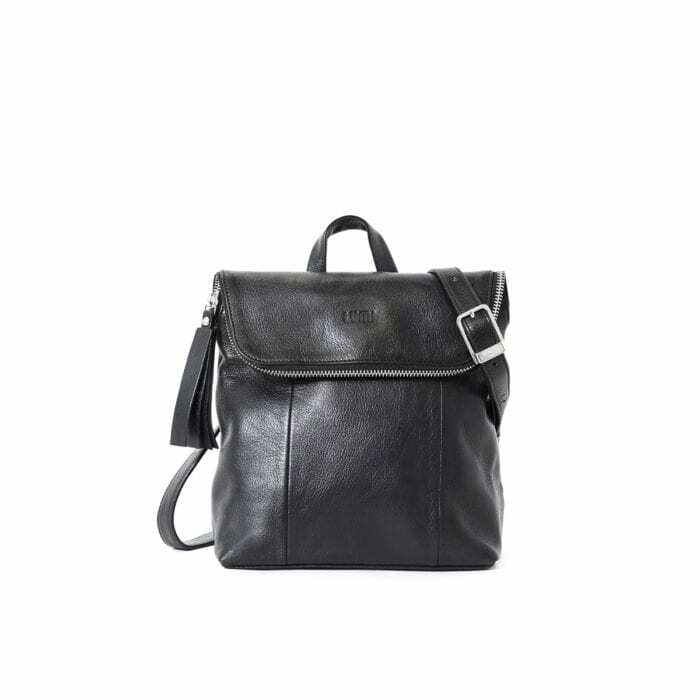 LUMI Sarita Mini Backpack in classic black. Sarita backpack is playful and classic, practical and cute - finishing your daily look beautifully. It fits your mini tablet, cosmetic case, water bottle and other small essentials you may need during the day. Sarita backpack looks great with jeans or pair it up with your favourite dress for a girly look! Sarita is from LUMI Soft Line collection, where bohemian chic meets LUMI style. The Soft Line collection has a diverse variety of clutches, purses and medium-sized city handbags. Made of 100% certified vegetable-tanned goat leather with chemical-free dyeing. LUMI Saara Backpack in black. This bag is one of our all time favourites. 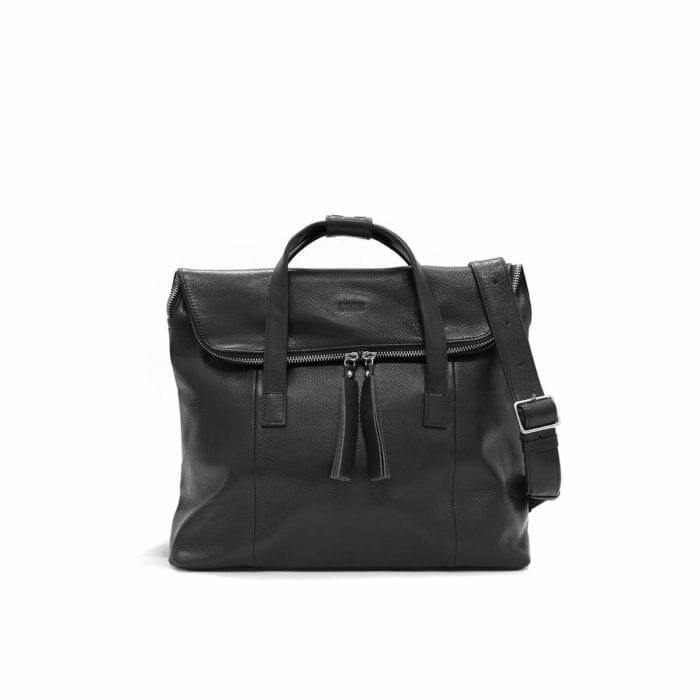 Saara backpack is playful and classic, practical and cute - finishing your daily ensemble beautifully. The style suits the office and looks good while strolling around town. Saara is from LUMI Soft Line collection, where bohemian chic meets LUMI style. The Soft Line collection has a diverse variety of clutches, purses and medium-sized city handbags. Made of 100% certified vegetable-tanned goat leather with chemical-free dyeing.